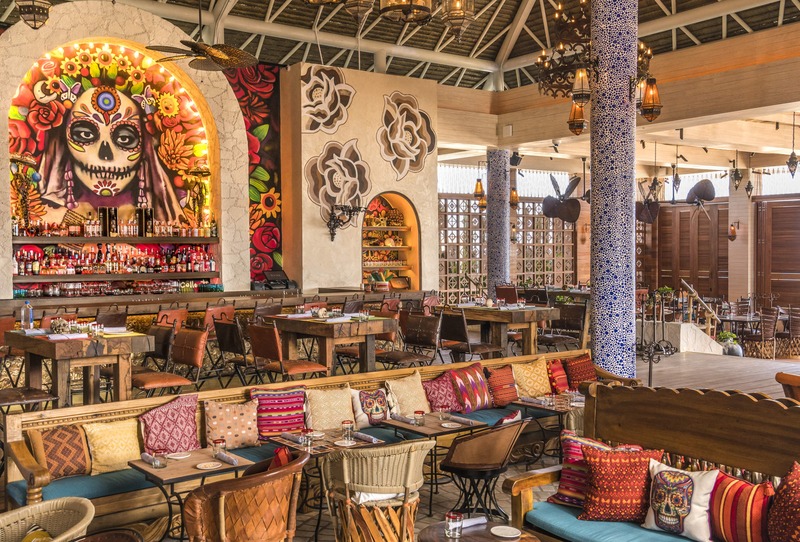 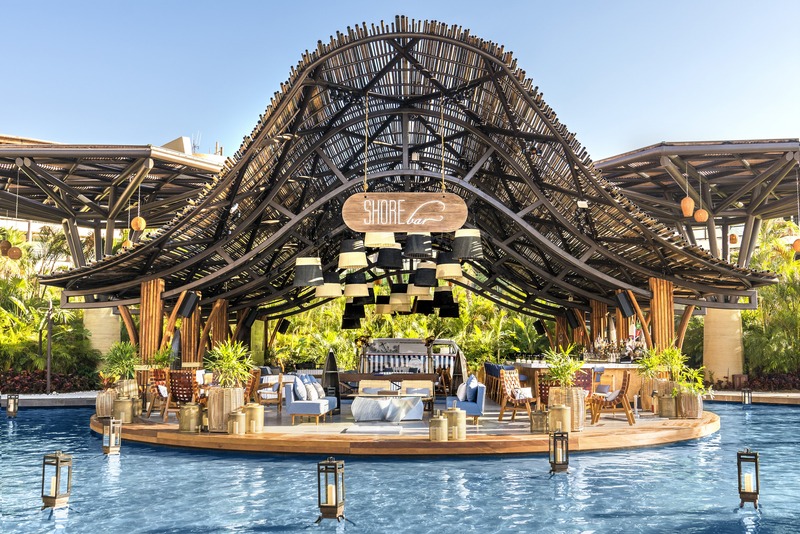 Sitting under a striking, curved thatch roof and overlooking one of the resort’s main pools, SHOREbar Los Cabos is a casual, open-air pavilion offering hand-crafted cocktails with pool and ocean views. 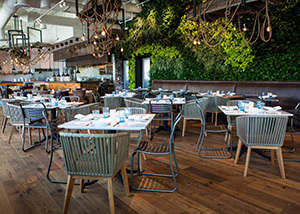 Clusters of pendant lights hang over wood lounges and tables, with subtle industrial details and blue-hued rugs and upholstery. 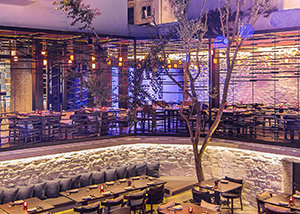 A vintage van parked within the venue offers a small menu of light bites and dishes to share.